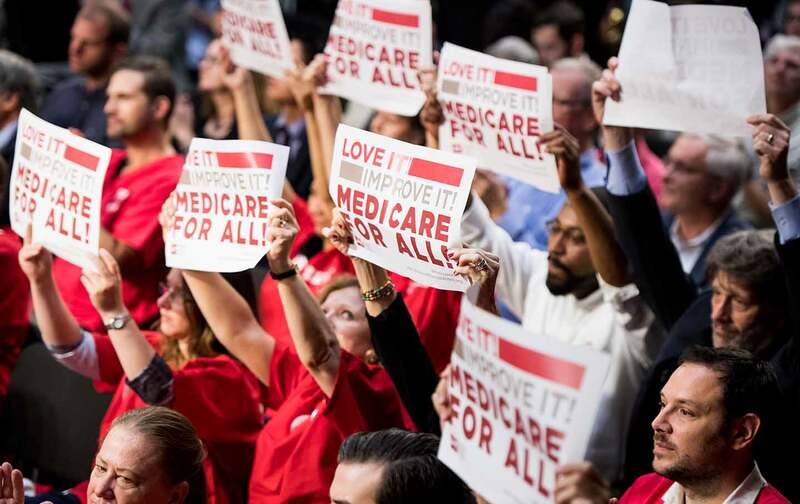 As the 2020 Democratic primaries approach, nearly all the major candidates have thrown their support behind “Medicare for All,” a system that would guarantee comprehensive medical care free of charge to all Americans. Nearly every other developed country in the world has some form of universal health care. We can attain it in the United States too, but the fight against Republicans and private insurers won’t be easy. This week’s Take Action Now shows you how to help push for the passage of Medicare for All and to fight for the rights of mistreated prisoners in Brooklyn. Health insurance in the United States is complicated, inefficient, and more expensive than other countries. The Affordable Care Act helped extend coverage to millions more Americans, but we’re still a long way from a system in which everyone can get the treatment they need. Watch The Nation’s new video about Medicare for All to learn why this policy is so essential, and sign this petition to help defend the ACA, which is currently threatened by a lawsuit from a group of Republican attorneys general. Last week hundreds of prisoners spent days without lights, heat, or even blankets after a power outage at the Metropolitan Detention Center in Brooklyn, which is run by the federal Department of Justice. Elected officials in New York and beyond have called for the DOJ’s Bureau of Prisons to investigate the mistreatment of these prisoners. Join them by calling Hugh Hurwitz, director of the Bureau of Prisons, at (202) 307-3198, and J. Ray Ormond, the bureau’s regional director, at (215) 521-7301, and elevate stories from inside the prison on social media using the hashtag #OccupyMDC.